This is where baby wearing comes to the rescue. I’ve worn both of my babies from their birth onwards and the wrap I reached for the most in the early days was my Chekoh stretchy wrap. At some point every day, I wrapped my boys and held them close. I loved it and they did too. They would snuggle in and fall straight to sleep. The fabric on the Chekoh wrap is soft and super stretchy. The stretch means that this wrap will fit super slim women, broad men, plus size women and all sizes in between. It’s also easy to adjust to carry your baby as they grow (up to 8-10kg) and once you’ve gotten the hang of putting it on, it only takes a couple of minutes to secure bub. I’ve used the wrap with two babies but it’s still as good as new. The Chekoh wraps come in at just under $100 which can seem pricy but the quality is fantastic. With baby wearing you get what you pay for, and when your child’s safety and comfort is involved I think it’s worth spending a little bit more. And if you use it anywhere near as much as I do, you quickly get your money’s worth. The wrap is comfortable to wear and the fabric is breathable. Rory was born at the end of May, and Jacob at the start of September, and I was able to baby wear over winter, during spring and into summer without feeling over heated. I wouldn’t reach for the wrap on days when the temperature was in the high 30’s, but I also haven’t found an alternate carrier that is cool enough to wear on those super hot days. 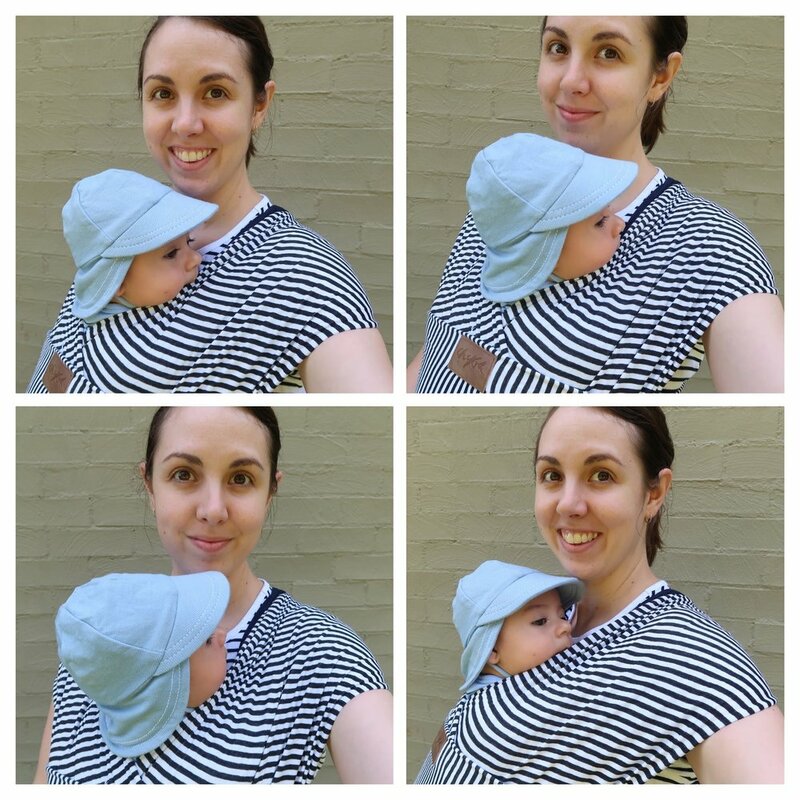 My verdit: The Chekoh wrap is a newborn must-have. It’s easy to use and easy to settle baby while using it. I love this wrap and am sad that both my boys have now outgrown it.